Looks like new gadgets coming if so. No AU no interest, if it was AU and supported Mac and Windows, I would buy them all in a heartbeat. @Samu what were these other new gadgets mentioned late last year that were suppose to be dropping ? This is about the desktop version, right? There's still a number of issues to fix in the current iOS version before releasing a V2. @davis_korgrd Is this true? If so, will it be an extra expense for the major upgrade? If so, will all my previous IAP purchases carry over? Will we get Otorii and Ebina? On the site it looks like just the plugins and not the program is coming to Windows? I’m still thankful for it. Possible a new app?! Or a major update on the excising with extending to the windows world? Midi Out Control Module !!!!!!!! 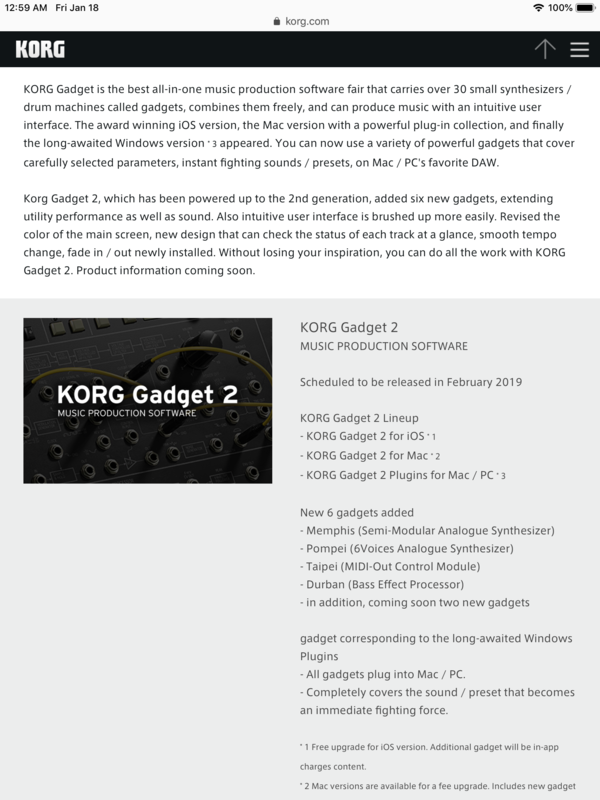 I’m hoping that the ms20 gadget is unlocked if you have the standalone...let’s hope too that midi out is true and also some other workflow improvements because without AU support I struggle with keeping interest in it. Good that Windows is coming though. 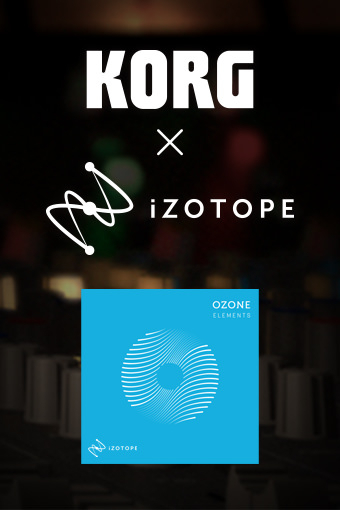 "free upgrade for ios version"
Man, MS-20 and Polysix coming to Gadget is gonna keep me up all night in anticipation, rofl. I may consider downloading it back to my iPad again. That said, I'm thankful the upgrade will be free. Time to clear some space on my credit card for the IAPs. I hope that the iMs20 and polysix apps automatically unlock the new gadgets in the same way imonopoly does. And hopefully work on iPhone as well as iPad. Gadgetising ielectribe would be good too. Having said that auv3 versions of the stand alone apps would be much better. 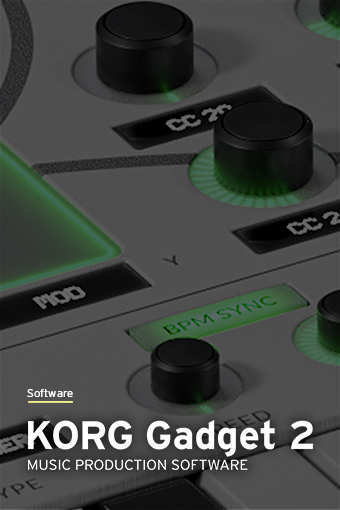 I’d buy more Korg apps if they were auv3 rather than gadgets. 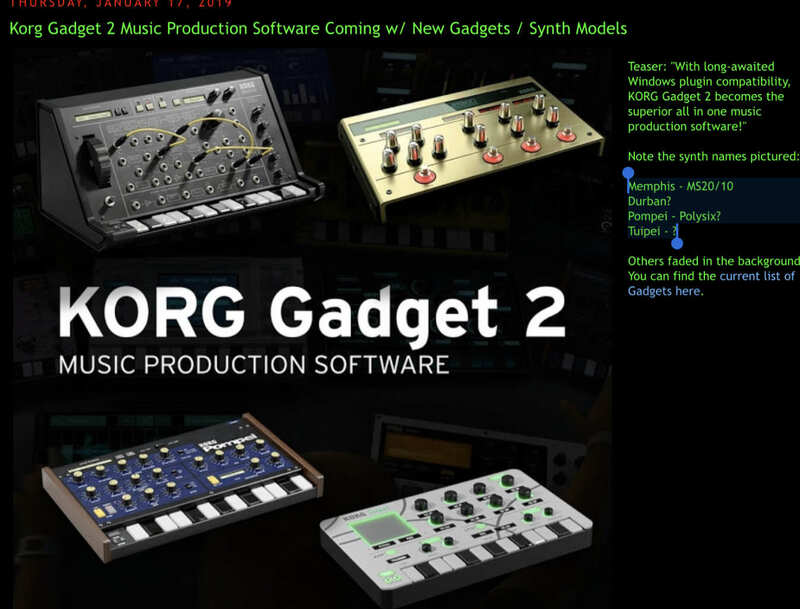 I don’t want to buy any Korg gadget that can’t be used outside of Gadget. Nice. I’m hoping the iMS20/iPolysix Gadgets will be free for those of us with the apps. They can bugger off otherwise. Ah right. Hopefully they’ll update the standalones, which will then unlock the new Gadgets in Gadget. This would bring be back to Gadget. Maybe Once you’ve unlocked on iPad, Gadget should recognise them as purchased and you should then be able to do a “Restore Purchases” thing on the iPhone. Yeah, the Desktop version is 1.x so that could explain it and at the same time sync the version numbers. I do wonder when it will actually ship? Looks like Midi-Out Gadget of some kind? Midi out control module is THE BIG THING for me ! Can’t wait !